Growing up, I really didn't understand the whole fairness debate - obviously, no 10 year old could. The first time I even realized that my skin colour wasn't, let's call it, ‘ideal’, was when I was visiting my grandmother during my summer holidays and she would keep giving me something or the other to rub on my skin - malai to besan, she woke me up with a new thing every morning. But the thing was, she only ever gave them to me. My sister, 7 years older than me, was fair - and thus, didn't require any malai on her face, you see. But as you know, these natural home remedies are slow, and I became more impatient every time someone told me how different my sister and I look. ‘But you both don't even look like sisters!’ I would hear this day in and day out since we also went to the same school. I eventually had my experience with fairness creams - at an age when I should have only been worrying out playing outside with my friends. Thankfully, today, I know better. But that doesn't mean people still don't tell me that I look nothing like my sister - it just doesn't bother me anymore. We're both beautiful regardless. I enjoy getting a tan whenever I go on a beach holiday - I love the glow it gives my body, I wear it with pride. I'm sure you have your own unique journey of being able to love yourself just the way you are in this world that's always trying to tell you to conform to their expectations of beauty. 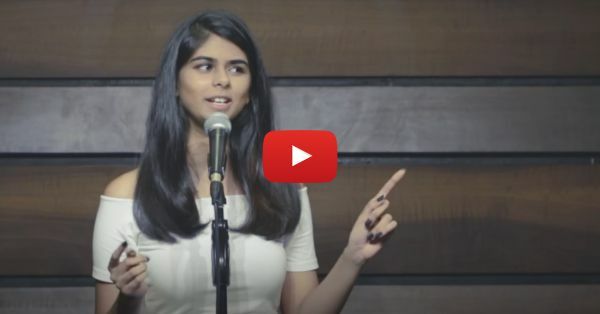 Aranya Johar's new video - ‘A Brown Girl’s Guide To Beauty’ talks about everything from the matrimonial ads looking for fair brides & grooms to how the struggle isn't limited to girls or complexions. After her spectacular previous video, we were already expecting this one to be amazing - but she has surpassed even those expectations! Go on, girl - hit play. We’re sure you'll be blown by the honesty in this slam poetry.